WILLEMSTAD - A ‘downgrading’ from the credit rating agency Standard & Poor's is out of the question for the time being. The credit worthiness of Curacao continues to be fairly reliable. Under the government headed by former Prime Minister Gerrit Schotte, Curacao was threatened to get a lower valuation, which would cause the interest rates on loans and investments to increase. The Dutch government had, until recently, an AAA rating, which is the highest. 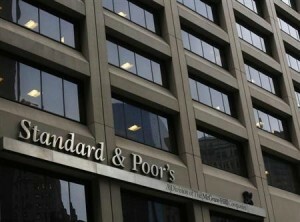 But the Dutch government does not want to pay for the credit rating from S & P. A possible upgrading of the island is possible, if the government debt does not grow again.